Achievement Award Forms can be filled out by older youth. These form encapsulate information on the youth’s 4-H career and are used to select members for county/state awards, trips and scholarships. Licking County will be hosting an Achievement Award training on Wednesday, September 19th at 6:00pm at the Licking County Extension Office. This training will help new members learn about achievement forms and how to fill them out and can also help veteran members better their forms from previous years. Please call our office at 740.670.5315 to RSVP for this event. 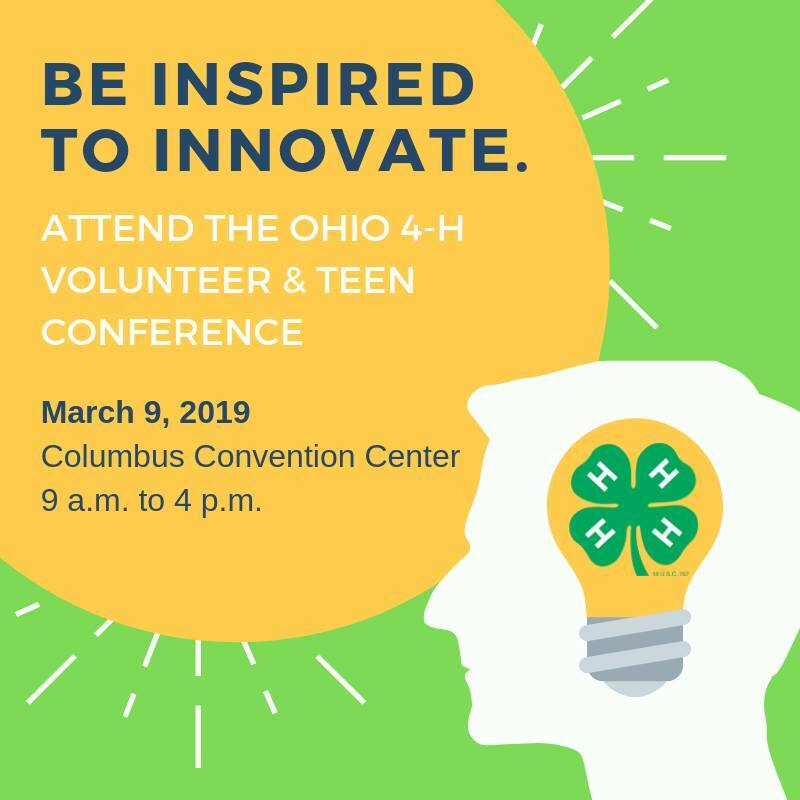 The Ohio 4-H Teen Leadership Council (TLC) will also be hosting two Achievement Award Forms workshops at the state level. The first workshop is designed for those new to achievement records and the second is for those who have completed achievement records in the past but would like help to spruce up their forms. More In-Depth Session-Ideal for 2+ year completion of the form (or those who have worked quite a bit on their form for the first year). It will offer work stations and coaches available to help attendees with already started or completed achievement forms. Beginner’s Workshop: Saturday, September 15th, 5:00-7:00pm at the Nationwide and Ohio Farm Bureau 4-H Center. Please RSVP by September 10th to Hannah Epley, epley.24@osu.edu or 614-247-8144. Advanced Workshop: Saturday, November 10th, 1:00-2:30pm at the Ag Admin Auditorium on the OSU Columbus Campus. Please RSVP by November 5th to Hannah Epley, epley.24@osu.edu or 614-247-8144. Please realize that this advanced workshop occurs after Licking County’s deadline for Achievement Award Forms. We would still encourage members to attend in order to learn how to better their forms for if they are selected to send their forms to the state level or for upcoming years. We have several awards, project books and other items that were not picked up in the Junior Fair Office during the Hartford Fair. If you turned your project record book in for species skillathon judging and did not pick it up at the award ceremony or in the Jr Fair Office during the week, your book can be picked up at the Licking County Extension Office. We also have several awards (trophies, ribbons, plaques, etc) that need to be picked up as well. Club advisors should have picked up their club packet either in the 4-H Center or the Jr Fair Office during the fair. If you did not, it can be picked up at the Extension Office. Some clubs had additional items that need to be picked up even if the advisors picked up the initial packet. Please call the office to check to see if we have the project book/award/packet that you need before you stop in. 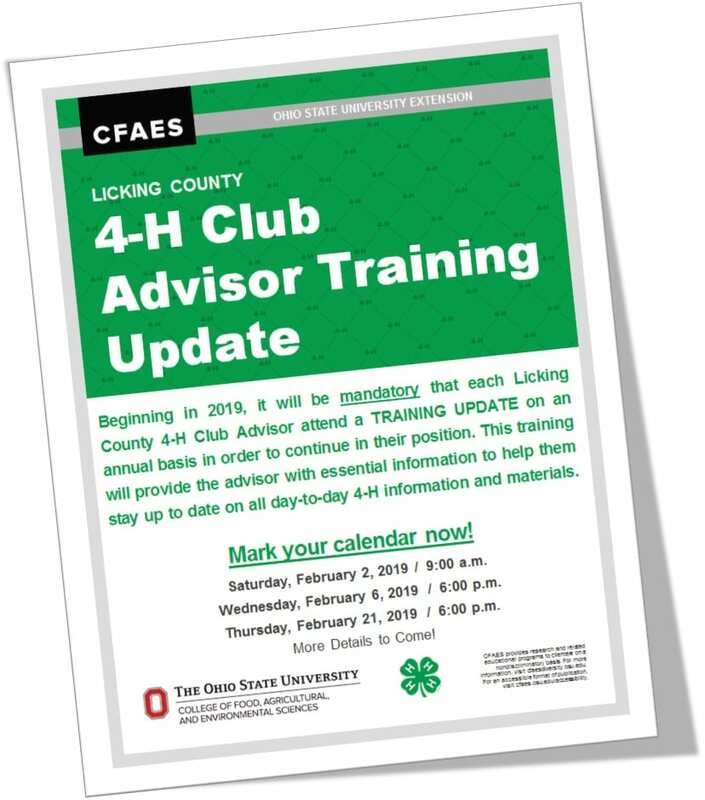 The newest edition of the Ohio 4-H Cloverbud Connections Newsletter is now posted to the website: www.go.osu.edu/cbc Click on the following link to past newsletters: Cloverbud Connections Don’t forget about our Click it, Print it, Do it! webpage where you can find over 30 different activities that are ready to go for your next Cloverbud meeting.